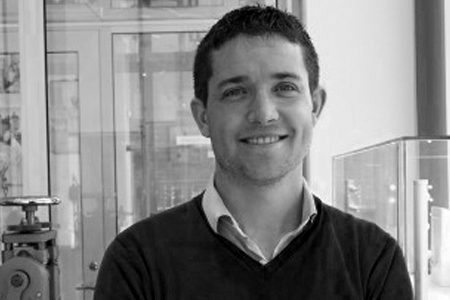 In the 10 years that I have known Michael O’Dwyer (starting with sitting opposite each other on the first day of our goldsmithing apprenticeship and finding out that we had just moved into houses next door to each other! ), I have never met anyone who is as passionate about jewellery or who works as hard. When he called me earlier this year to tell me that he was considering making a huge leap and opening a much bigger store in Stockholm, I can’t say that I was surprised. His energy, drive and enthusiasm mean that he has built an amazing business in just a few years (this is the same enthusiasm that has led to us being banned from talking to each other out of business hours as our respective others are so bored of the endless jewellery phone calls!). It occurred to me that it might be nice for everyone else to learn a little about Michael (known as Sparkle to his friends!) and what makes him tick. With the new shop just about ready to open, I have been plaguing him with questions about his favourite piece to date, his dreams for the future and more. I hope you enjoy it! DO YOU HAVE A FAVOURITE GEMSTONE? IF SO, WHICH ONE AND WHY? I love colour and as a result one of my favourite gemstones is Tourmaline. It comes in a huge selection of colours from bottle green to bright pink, beautiful plum shades and vibrant blues… the choice is endless! I trained as a gemmologist before starting my goldsmithing apprenticeship so I love looking at a big selection of tourmaline and picking out the best quality stones in the most interesting colours. 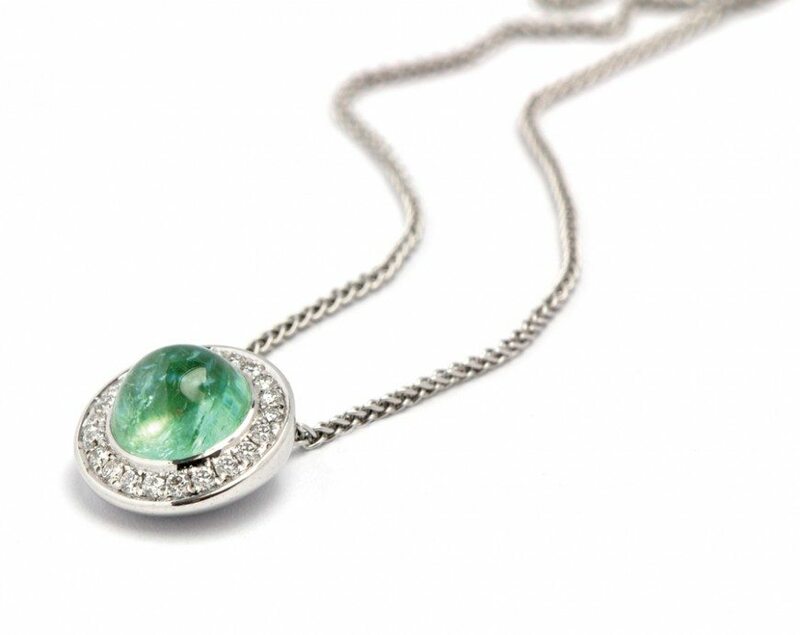 There is nothing quite like the colour of Paraiba Tourmaline which is an extremely valuable stone. This is probably my favourite of all! WHAT IS THE MOST CHALLENGING PIECE THAT YOU HAVE WORKED ON? This citrine ring was definitely the most difficult. It was all handmade and involved soldering yellow gold to white gold leaving no mess, this is no mean feat! The 3 sided pyramid was extremely challenging to make – it had to fit the setting for the citrine perfectly leaving an exact gap between the stone and the pyramid. 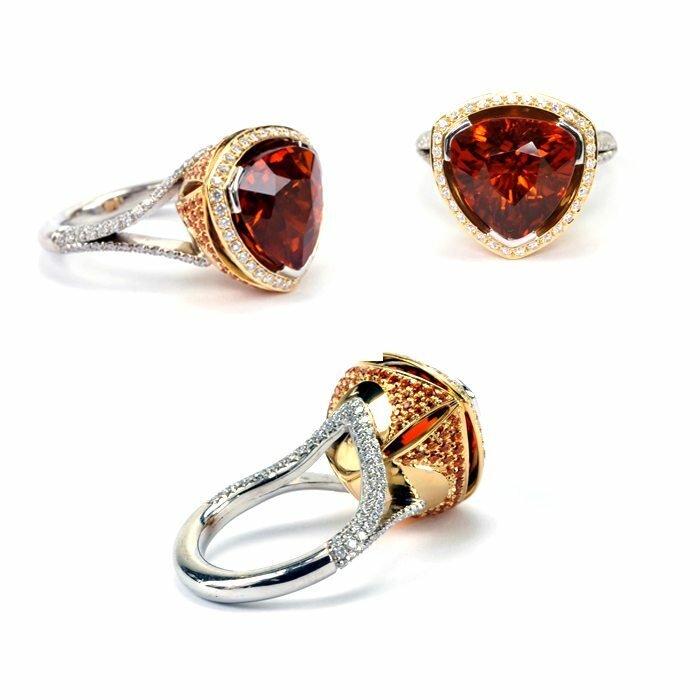 This was a one off ring set with Spessartine Garnet, Diamonds and Citrine. In the end it was definitely worth the blood, sweat and tears! WHAT IS YOUR FAVOURITE PIECE THAT YOU HAVE MADE TO DATE? This Zircon ring was one of my favourites. The centre stone was amazing – a beautiful colour and very clean. The ring was completely set with diamonds – over 100! WHAT DOES A TYPICAL DAY’S WORK INVOLVE? Every day is different. I’m normally in before 8 so that I can get through emails before the doors open and the phone calls begin! After that the day is so varied. I spend a lot of time working with my retailers – working out bespoke designs with them. I regularly have stone suppliers visiting me so a typical afternoon could involve a couple of hours searching through gemstones. I try to spend at least half of the day stone setting as the quality of the setting is one of the most important aspects of my work and really sets us apart from other companies. I finish up at about 7pm and after some family time with my wife and little girl I tend to do some design work. This is often on computer aided design software so that I can create a rendered image of what the piece will look like. I find this is the easiest way to work out the best proportions and designs for my work. WHAT DOES THE FUTURE HOLD FOR YOUR COMPANY? WILL WE BE SEEING MORE MICHAEL O’DWYER SHOPS? My aim is to be represented in each of the Northern Capitals and also in London. The main thing is to continue with a select group of stores that I feel fit well with my brand. It is important that my retailers are knowledgeable and are extremely experienced in bespoke pieces so I choose these stores very carefully. 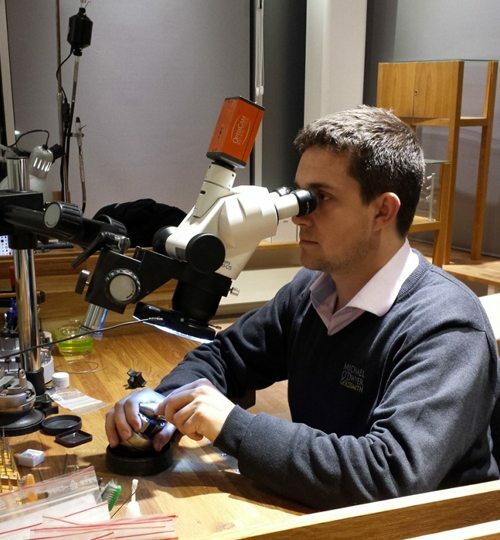 A huge amount of the work that we do is commissioned and so we have to be able to communicate what the customer wants with each other and ensure that the end result is their dream piece of jewellery. MOST EXCITING THING ABOUT THE NEW STORE? A permanent photography studio & more space! Not to mention looking out over the Nordic sea through our 3.5 meter high windows! After growing up in Ireland I found it difficult to adjust to the lack of daylight in Scandinavia. In the winter it can be dark for 20 hours per day so light in our working space is really important. 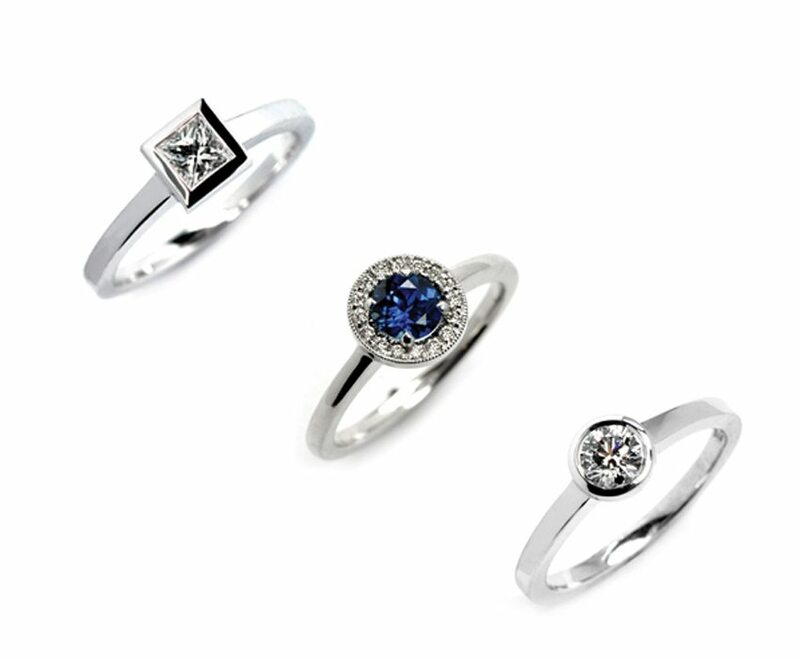 WHAT IS YOUR TOP TIP FOR SOMEONE WHO IS ABOUT TO START SEARCHING FOR THEIR ENGAGEMENT RING? For diamond rings look at the cut of the stone rather than the clarity and the carat weight. Remember that carat weight refers to the weight of the stone and not the dimensions – a 1 carat diamond that is poorly cut will have less brilliance and could look the same size as an 0.80ct, this is because the stone has been cut too deep in order to make it heavier and have a 1 carat tag! Remember there is no such thing as a cheap diamond so if it sounds too good to be true it more than likely is! Don’t be afraid to go for something bespoke. This is something that you will wear for the rest of your life – it should be 100% as you want it. Let us do what we are good at and I promise that you won’t be disappointed!